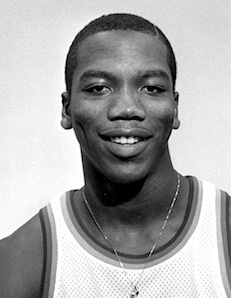 Roosevelt Chapman had a sensational career at the University of Dayton where he became the school's all-time leading men's basketball scorer with 2,233 points and collected 956 rebounds. 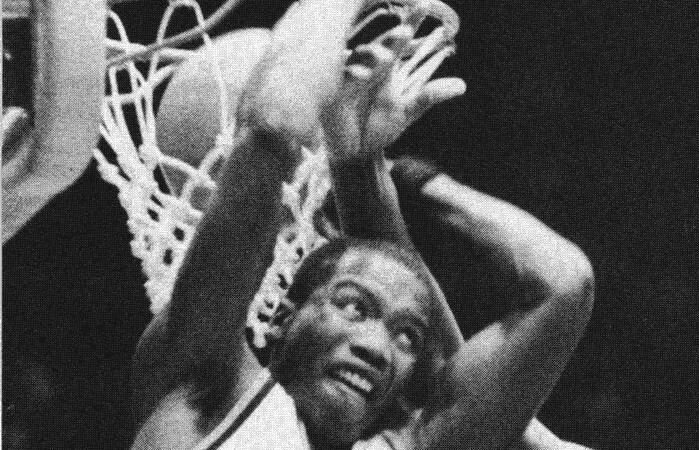 The 6-foot-4, 200-pound Chapman, who averaged 27 points and 21 rebounds per game in his senior year at Westinghouse, was a remarkable athlete who showed amazing body control with his smooth, acrobatic moves as he approached the basket. He was quick and strong and an excellent passer. He was at his best in his senior year (1983-84) when he averaged 18.9 points per game in the NCAA Tournament and led the Flyers to the Elite 8. An underdog in every game, Dayton upset LSU, Oklahoma and Washington before losing to eventual champion Georgetown, with Patrick Ewing, in the West Regional final. Chapman averaged 12.8, 18.1, 23, and 21.8 points in his four years at Dayton and was a three-time most valuable player.